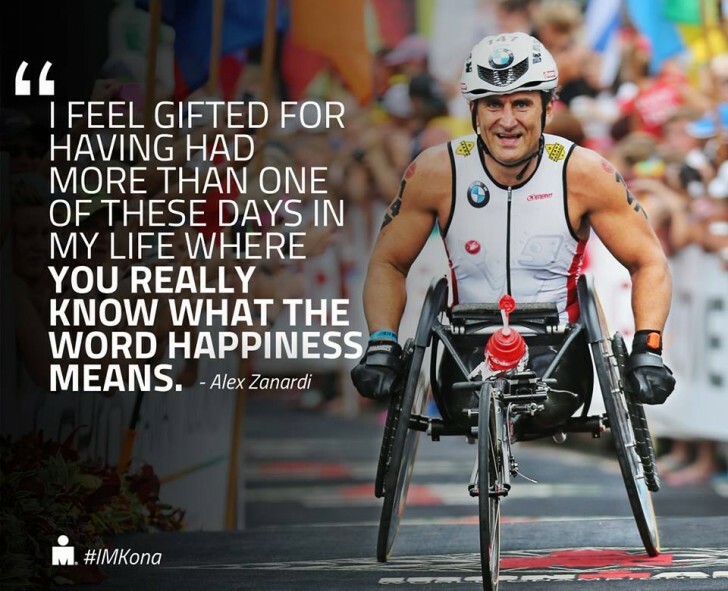 Alessandro “Alex” Zanardi is an Italian racing driver and paracyclist. Zanardi won two CART championship titles in North America during the late 1990s. He also had a career as a Formula One racing driver. More recently, he has attracted widespread praise for his return to competition in the aftermath of a crash in 2001. It resulted in the amputation of his legs. He returned to racing less than two years after the accident, competing in the World Touring Car Championship between 2003 and 2009. Switching sports, Zanardi took up competition in handcycling. This is a form of Paralympic cycling. His goal was to represent Italy at the 2012 Paralympics. In September 2011, Zanardi won his first senior international handcycling medal. Then, in September 2012 he won gold medals at the London Paralympics in the individual H4 time trial and the individual H4 road race. This was followed by a silver medal in the mixed H1-4 team relay. Monday Morning Motivation – are you a wimp?